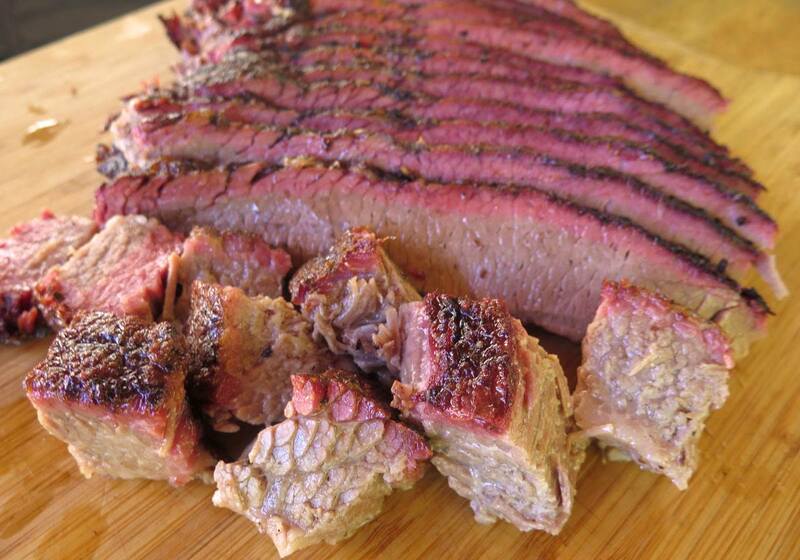 This is a great alternative to your traditional smoked brisket. 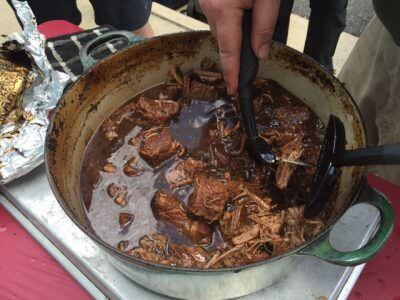 This recipe was lovingly handed down from Max’s mom Beverly, the way she learned to make brisket. Seared off to give it a slightly grilled flavor, then braised in red wine and onion soup mix, this brisket will take you back in time to your grandmother’s kitchen. Two packets of instant onion soup mix. Season the brisket with Cow Lick Steak Rub. Put the brisket in the BGE direct with a couple of chunks of wood (oak is great for this) to sear it on both sides (about 5 minutes per side). Remove the brisket and put in a pan large enough for it to fit, fat side up. Put enough wine in the pot to cover about 2/3 of the brisket. 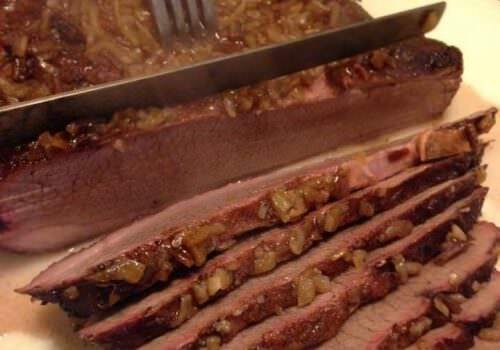 Sprinkle the onion soup mix on top of the brisket. Lay the onions and carrots on top of the brisket. Seal the pan tightly with heavy-duty aluminum foil. Let cook for 3 more hours at 325-350°F, indirect. 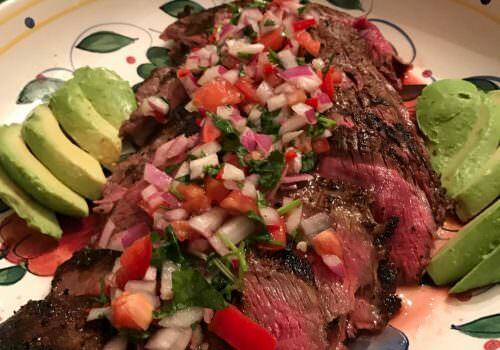 Remove the meat, slice, and serve in a casserole dish with the juices, carrots and onions from the pan.